The Philippine Cancer Society reported an incidence of 1.2 per 100,000 person years in 2010, while a recent study by Sarmiento and Mejia found an incidence of 2.07 per 100,000 person years. Early detection and appropriate treatment are the important factors to improve nasopharyngeal cancer patients’ survival rate. 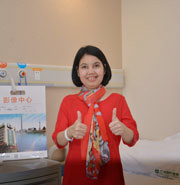 Oncologist from St. Stamford Modern Cancer Hospital Guangzhou remains that one should take appropriate cancer treatment once being diagnosed with nasopharyngeal cancer, because the 5-year survival rate of early stage nasopharyngeal cancer is higher than 90%, while the 5-year survival rate of middle and advanced stage nasopharyngeal cancer is below 50%. If you are diagnose as nasopharyngeal cancer, please make online appointment or contact us 02-8221222 (Manila Office) or 0917-599-2277 (Cebu Office) to have an expert consultation. World Health Organization (WHO) has divided nasopharyngeal cancer into three categories: keratinizing squamous cell carcinoma, non-keratinizing squamous cell carcinoma and undifferentiated carcinoma. NPC is much more common in Southeast Asia, nearly all cases are the non-keratinizing squamous cell carcinoma. If you have any doubts about the nasopharyngeal cancer pathology report, you can make an online appointment or call us directly at 02-8221222(Manila Office) or 0917-599-2277 (Cebu Office). Professional oncologists will help you out. If you want to know more about nasopharyngeal cancer treatment, we are here to help you. Consult online or call at 02-8221222 (Manila Office) or 0917-599-2277 (Cebu Office) to make an appointment for expert consultation.